There has been a lot of talk lately surrounding a possible movie which will tell the life story of 13th century Turkish-Persian mystic Rumi. But who exactly was the enigmatic poet? 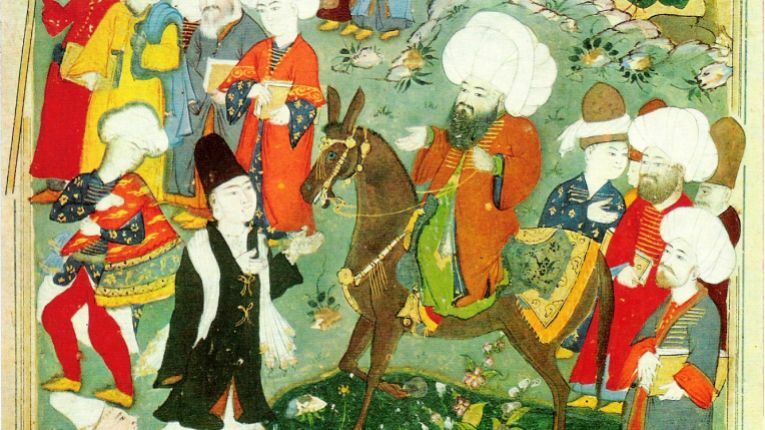 The news is that David Franzoni, the Oscar-winning screenwriter behind “Gladiator,” is writing a new script for a biopic of the popular 13th century Turkish-Persian poet Jalaluddin Rumi. Filming is scheduled to start next year. However, the movie has attracted controversy even at this early stage. Why? Well, there’s talk that Leonardo DiCaprio might be cast as Rumi, while Robert Downey Jr. will play Shams Tabrizi, Rumi’s mentor who had a powerful influence on his later writings. Some social media users have voiced anger that “white” men might be cast to play the two men. They ask why such actors are being cast when there are so many actors from the Middle East who can play the roles. Hollywood’s alleged attempt at “whitewashing” the history of Turkey and Persia (modern day Iran), has led to an outcry on the internet. But who was Rumi, the man at the centre of this discussion? Let’s take a closer look at his life. Bowl of Reflections inscribed with Rumi’s poetry. Early 13th century, Brooklyn Museum. Rumi’s full name was originally Jalaluddin Muhammad Balkhi. He is popularly known as “Rumi” – a name which comes from Arabic and literally means “Roman.” He acquired this name because he spent much of his life in the Seljuk Sultanate of Rum in Anatolia, which had previously conquered the area from the Eastern Roman, or Byzantine, Empire. Another word of Arabic origin, Mevlevi – meaning “my master” – is also often used to refer to him. Portrait of Shams Tabrizi, a devotee of Rumi. Rumi was a traditional religious teacher until the age of 37, when he met a wandering dervish (a Muslim who attempts to get closer to God by leading a life of poverty) named Shams Tabrizi, who changed the course of his life. Shams, who soon after became a devotee and intimate friend of Rumi, is credited as his spiritual mentor and is mentioned with great reverence in his poems. Their partnership was short-lived. Three years after they met Shams disappeared. It’s rumoured he was murdered by one of Rumi’s jealous followers. His poems are passionate, spiritual and intense. He would frequently write about topics such as human desire and the nature of love. to finish. No more timidity! In the air, done with patient waiting. A copy of Jalaluddin Rumi’s Masnawi. Come! Come ! Whoever, whatever you may be, come! Heathen, idolatrous or fire worshipper, come! Even if you deny your oaths a hundred times, come! Our door is the door of hope, come! Come as you are! Old photo of sufi dervishes of the Mevlevi order. The dance of the whirling dervishes is a form of Sama, or religious ceremony, which originated among Sufis (Muslims who focus on the inner, mystical dimension of Islam). It’s still practiced by Sufi dervishes of the Mevlevi order, which traces itself to Rumi and follows his teachings. In the dance the dervishes aim to attain perfection and reach God by abandoning their egos and personal desires. They do this by listening to spiritual music, focusing on God, and spinning in circles.